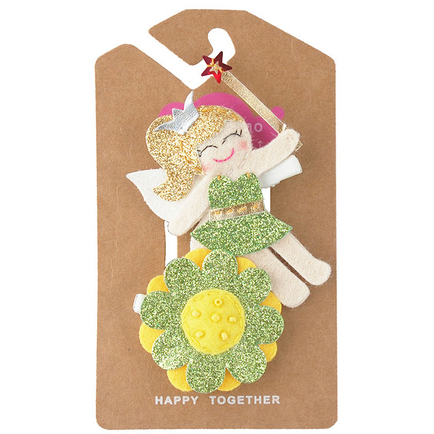 Sprinkle fairy dust wherever you go with these glittery hair clips. Sparkle dust fairy and flower in sunshine colors. Fairy: 2.75" tall * 1.95" wide.